This article will show you how to have a simple functionality for flextime in TSR. This functionality makes it possible to use the reporting function to see how many hours were supposed to be reported for a specified time frame (for example a week, month or year) and compare it with the actual number of reported hours in the same period. 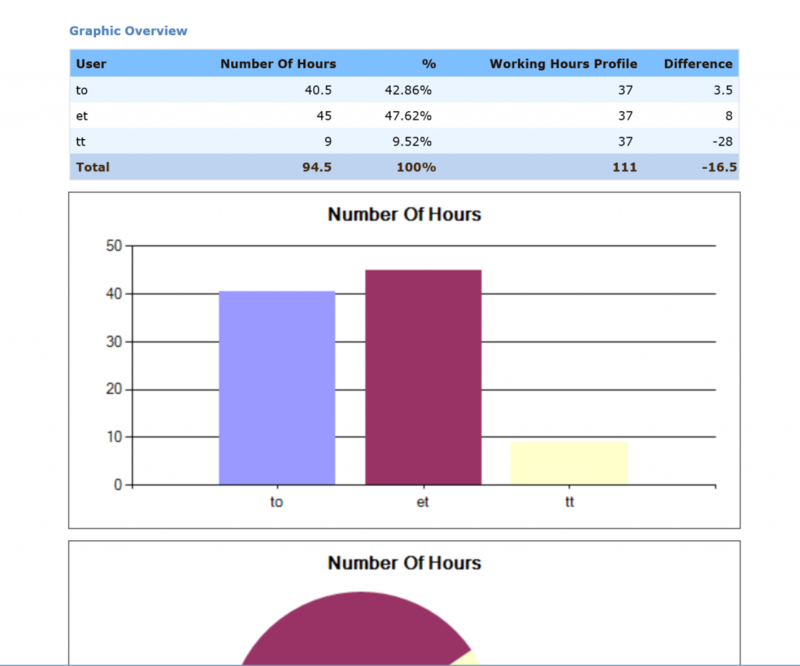 If you’ve not already done so, create a working hours profile in TSR. This specifies how many hours each user should report per day. You can create multiple profiles and attach the relevant one to each of your user profiles (not mandatory). 1: Go to the General Report in TSR.